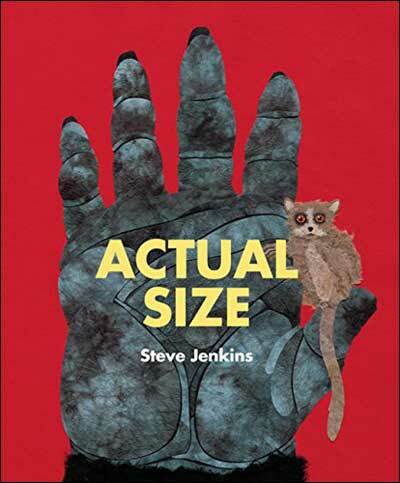 And if you like this book, be sure to check out Steve Jenkins' Prehistoric Actual Size, which follows the same premise but features prehistoric creatures. 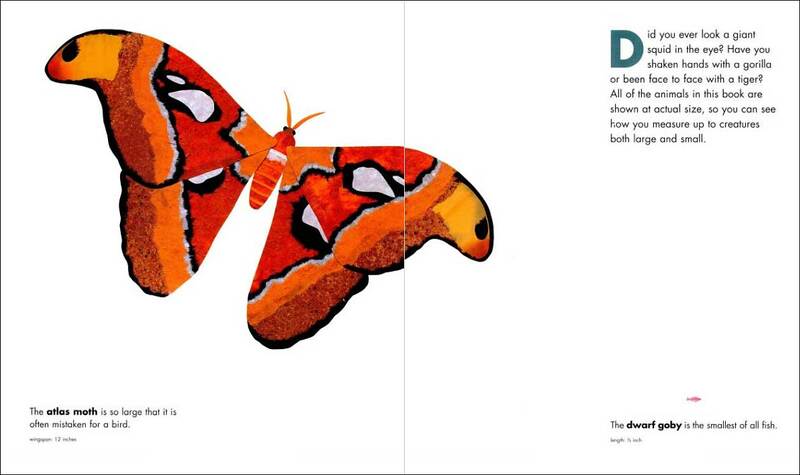 Below are two spreads from inside this book. 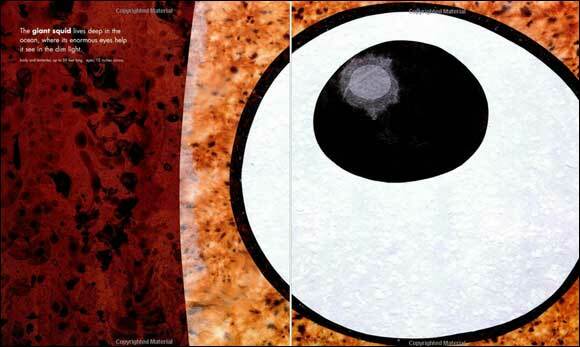 Remember--the premise of the book is that animals (or animal parts) are shown in actual size. 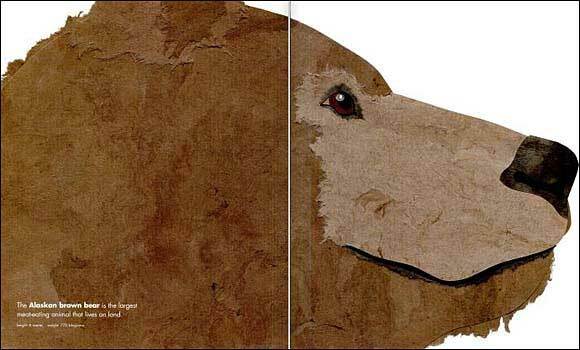 Now imagine these spreads are book size (in this case, an inch high and 2 inches wide!) 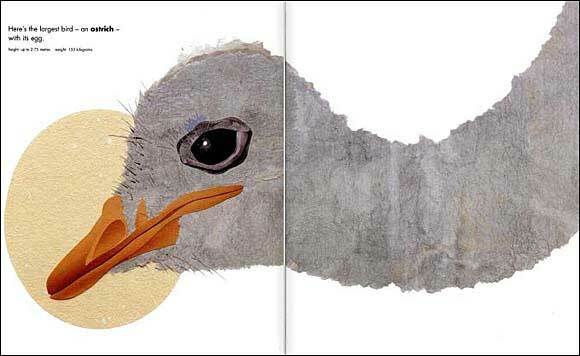 When your students see the book version of the first spread, for instance, they will get a fascinating insight into how the animals really are! These sample spreads will also give you an idea of the reading level of this book (listed above). It's a bit high for kids in preschool, Kindergarten, and 1st grade so this book is best as a read aloud for those kids. But the reading level is just right for the older age of the range--2nd to 4th graders. Go through the book, page by page, but don't show the pictures at first. 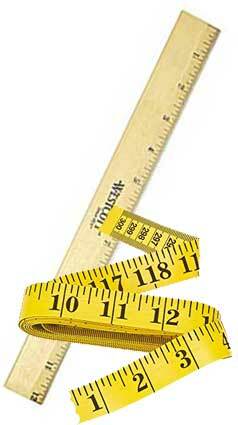 Your students will probably really enjoy this lesson / activity, and may even want to walk around the room measuring things after that. :) And as a side note, the animals and specific facts that Jenkins selected for this book are really interesting!.